There are some films that challenge the film reviewer, whether by breaking the objective barometer in which he uses as his primary instrument in assessing a picture. Or the film in question can be dense, elusive, yet fascinating that one viewing does not suffice in coming to a decisive opinion. Inherent Vice is one of those films that falls into the latter category mentioned. Even in writing this review, I feel like I am in a foggy daze, trying to comprehend what I have just witnessed. With this in mind, this piece will comprise of definitives, both good and bad that can be said after my first viewing of the picture. The first place to start the discussion is the central narrative of the film. It’s seemingly incoherent nature, I think is purposeful on the part of director Paul Thomas Anderson. By the very design of the film, we see the world through a central character who incessantly smokes dope. From moment to moment there is confusion in the picture, as the plot becomes complicated to Larry “Doc” Sportello. (Joaquin Phoenix) Beyond the initial case, many more mysteries become apparent, and Doc further investigates these in turn. As a result of the seemingly complex plot, I was reminded of when Ed Wood said, “Filmmaking is not about the tiny details. It’s about the big picture.” So what is the big picture of this film, what is Paul Thomas Anderson attempting to say? My first impression is that Anderson is subverting the Film Noir genre by filtering the usual conventions and expectations through drug infused glasses. For example, the narration that is usually delivered by a gruff male character is instead given to a female character. Her omnipresent third person snarky witticisms are the primary source of insight and humour in the picture. Additionally, the narrative is set in motion by Doc’s old flame who goes to him seeking his help with a problem, which begins the first investigation. Typically, we would expect the former girlfriend to become a femme fatale figure who would return and betray the main hero of the story. However, that is not the case here, as she returns to him to provide information that furthers another case that Doc is currently solving. Also the pair bond in their own way, upon her return. My main contention with Inherent Vice is that Anderson is not doing anything profound beyond the subversion of a genre, and I am trying to grapple hard with the film, for the purpose of finding further meaning. Instead, all the film appears to be is an exercise in broad period humour as opposed to being like his other pictures that were clear in their exploration. For example, The Master felt like a commentary on the importance of the acting process in filmmaking. This criticism in context is not as damning as it first came across. There are many directors who do films that they feel passionate about and ultimately challenge them. For instance, when Martin Scorcese did Shutter Island, many critics thought that he was doing genre material that was frankly beneath him. Whereas, Scorcese enjoyed making the picture that was in the vein of a Hitchcock thriller and mystery film. In relating this to Inherent Vice, Anderson is challenging himself by being the first person who is adapting a Thomas Pynchon novel, which is notoriously difficult. Despite all this, on display are some great aspects. For example, the film is beautifully shot with great contrast between the daytime and night scenes. The former have this heavenly glow to them, whereas the latter have this smokey ashen and grainy quality. As a result of this, the film feels as though it is visually transitioning from the bright, glitzy look of a sixties film to a grim, gritty, dark palate of a seventies film. Finally, Joaquin Phoenix delivers a compelling central performance as Doc. At once, he can be unassuming and laid back. However, you always get the sense that he has this tired idealism about him. These two aspects come from Phoenix’s vocal inflections that sound drained at times and his body language that portray utter purpose. This latter aspect is even apparent in some moments where he looks spaced out due to his heavy drug intake. 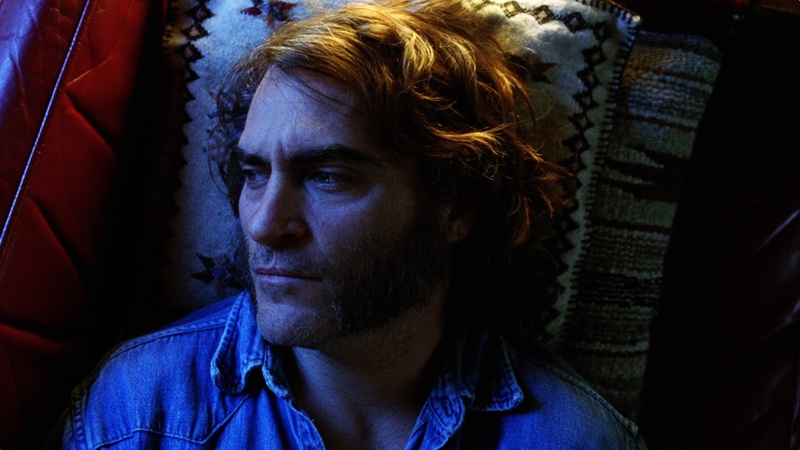 Will Inherent Vice provide more depth on its second viewing? That is hard to say. As an experience that puts you headspace of a central character who smokes dope and investigates crime, it delivers as an experiential piece of cinema. Fundamentally, this adheres to one of the appeals of the medium, which is experiencing a time and place that is entirely different from your own reality.